Crochet is a hobby that has been around for centuries. Ever since people discovered how to twist and knot thread and yarn, they have been creating all kinds of amazing things with nothing more than a hook. Crochet is a unique hobby – unlike knitting, crochet can’t be done by machine, and must always be created by hand. Every time you see something that has been crocheted, you can know without a shadow of a doubt that it has been made without the use of any machinery whatsoever. But how can you create such amazing projects? How can you twist and turn the yarn into something that you can use, wear, or decorate your house with? If you have never tried crochet for yourself, it can look incredibly confusing. But it’s not, and that’s where this book comes in. 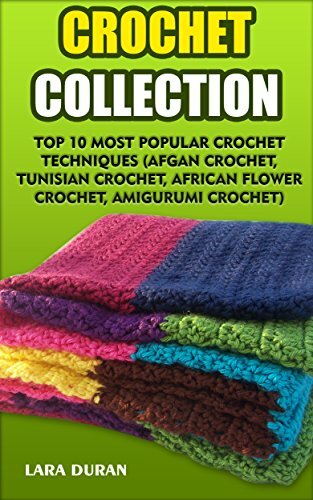 In it, I am going to show you how to master the art of crochet, and get you started on the right path to create your own collection of crochet projects. It’s really easy once you get the hang of it, and with these simple instructions, you’re going to learn exactly what you need to do to make any project you want. From the simple blankets to the elaborate clothing, and everything in between – there’s no end to the ways you can use crochet. Come with me on the journey of crochet, and learn exactly what you need to do to enjoy the hobby for yourself. From the beginning stitches to easy projects you can use for practice, this book is everything you need to get started with crochet.